In April 2012 please join Celia, who blogs over at Fig Jam and Lime Cordial, by sharing with us what is in your kitchen! In my fridge on the 1st of March was …. In my kitchen there is …. 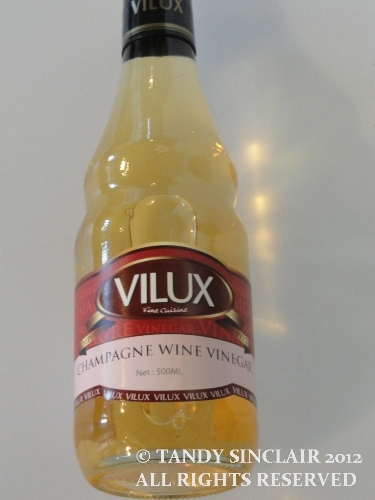 champagne vinegar – which I decided to get instead of sherry vinegar as I am much more of a bubbly girl! In my kitchen is …. 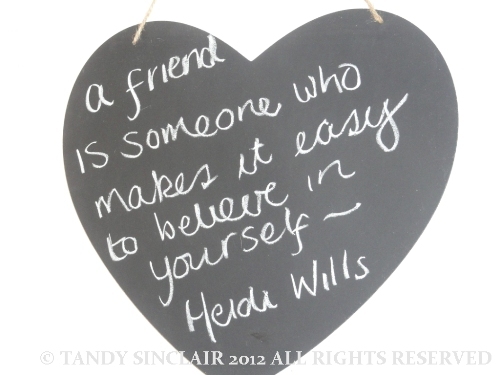 February’s inspirational quote which I have not changed as I really like it! Your tea infuser is really cute – I like that it is made from china instead of the usual metalic variety. Ooo, Le Creuset! I would love a set of their cookware–wish it wasn’t so pricey! Excited to learn what’s inside, too. 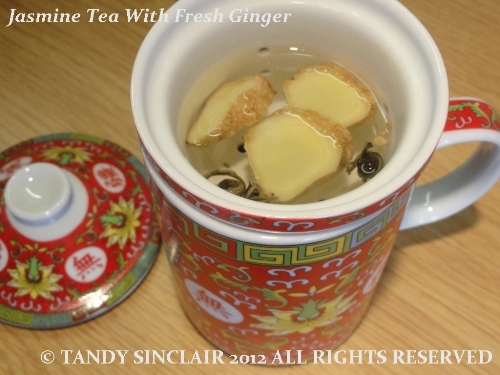 And fresh ginger tea is delicious! Yum. How great to get a glimpse into your kitchen! And that tea looks absolutely wonderful. Your refrigerator is so organized! I have so many condiments and things I’ve bought and only used once that I have to go through it every so often and throw things out. You’ve just reminded me that it’s time to do that! I try and clear our the condiments once a month – and since doing this round up I am sort of forced to! Oh champagne vinegar and my weekly clean-out-your-fridge reminder. 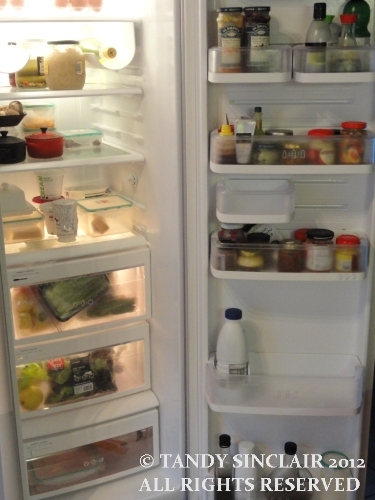 Would you like to come over and make my fridge look as neat and tidy as yours? Your tea looks very inviting! I sometimes add the center (the hard part that you usually throw away) into herbal and green teas. It carries a lot of flavor even if it isn’t edible and adds much to tisanes. Thanks for sharing your kitchen- I always enjoy these little visits. I always enjoy this posting of you!! Lovely thingies! I soooo enjoy these posts about your kitchen!! Always lovely! I love these things in your kicthen! Your fridge is really clean & lovely. I love your prepared tea! Yummy! I also love champagne vinegar! So tasty too! And I absolutely love that phrase on your boeard! I just gave you an AWARD! Yeah! Why? Come over @ my latest post & check out why!! Have a great weekend! Looking forward to those recipes Tandy and a Happy April to you too. Tandy, happy April to you too! Thanks for sharing what’s in your kitchen – I always think you’re brave to take a photo of your fridge every month, mine is a mess! 🙂 Do you put green tea in with your tea as well, or it is a purely herbal mix? I love your little infuser mug. And champagne vinegar is a new discovery for us too – love it! You did not look close enough! There is always wine in my fridge (in case you visit LOL) Take a look next to the sauerkraut – the little yellow lid! I can come and sort it out for you!